Medical perfusion has been practiced as a discipline in Australia for more than three decades. Thus far the training has been conducted on an apprenticeship basis with no formal theoretical component. The Australasian Society of Medical Perfusion (ASMP) in conjunction with the University of Melbourne, has developed an online professional development course to provide the theoretical knowledge base needed for the study and practice of medical perfusion. Students can enroll in an eLearning component (available for specialities in certain disciplines) or eLearning and practical components (available only for trainees and ASMP members only). For the practical training, it will be conducted in hospitals supervised by the ASMP. This will comprise of gaining the practical skills in operating a heart lung machine and simulator-based training to enable the candidate to efficiently manage emergency situations. The objective is to produce graduates that are well versed in both the theory and practice of the discipline. It is best that this course is studied while a student is working in a cardiac fellowship program that includes cardiac anaesthesia and transoesophageal echocardiography. Have a detailed knowledge of the equipment that is used in cardiopulmonary bypass and extracorporeal membrane oxygenation. This includes understanding the circuits, the heat exchangers, cell savers, cannulas and monitors. Understand the effect of cardiopulmonary bypass on the major organ systems including the heart, lungs, kidneys, brain, hematological and endocrine. In addition, the impact of cardiopulmonary bypass on the pharmacology of the drugs used is included. 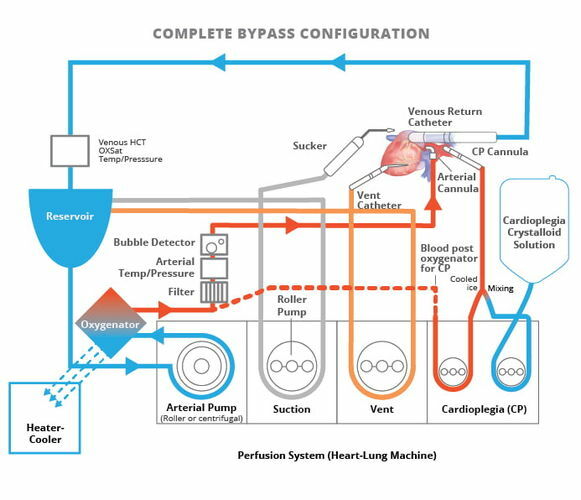 Be able to completely manage all aspects of cardiopulmonary bypass including setting up the circuits, cannulation, commencement of bypass, maintenance of bypass, separation from bypass, hemodialysis on bypass, intra-aortic balloon pump, ECMO and deep hypothermic circulatory arrest. Understand how to manage problems that can occur on cardiopulmonary bypass including circuit thrombosis, oxygenator failure, anaphylaxis, failure of the heart lung machine and massive air embolism among others.